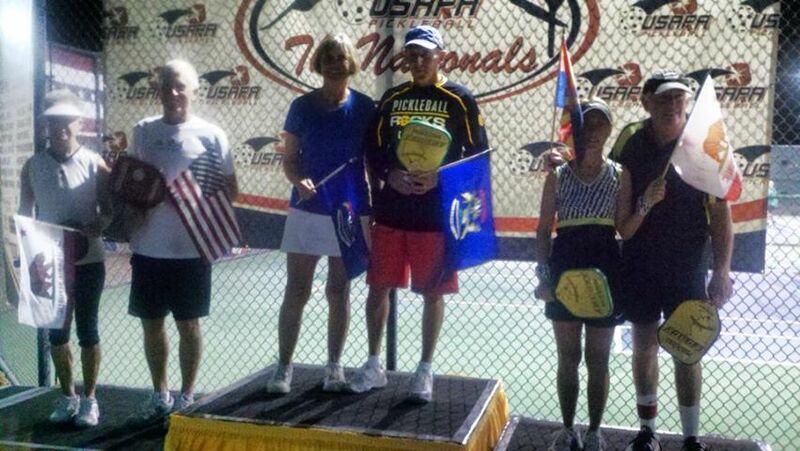 2013 USAPA National Pickleball Tournament Recap – Pickleball is Thriving in Northwest Ohio! This was the fifth year for the USAPA National Tournament. There were 640 registered participants from 39 different states and five countries. It really was an amazing time with some of the best Pickleball players in the land. 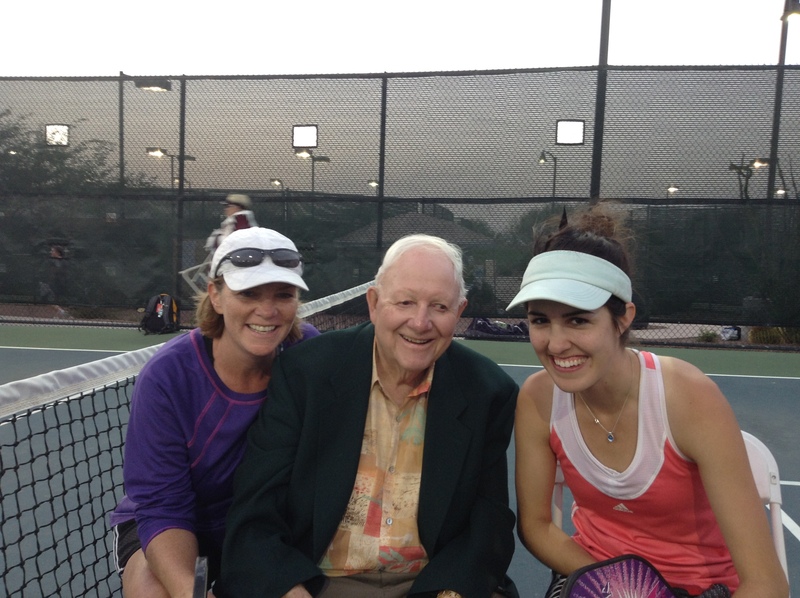 There were a total of 28 courts at the Del Webb Community in Buckeye AZ. We had several players representing Ohio and Michigan at Nationals this year. Jim & Yvonne Hackenberg – Kalamazoo MI, Carolyn Ebbinghaus – Traverse City MI, Jessica LeMire – Grand Rapids MI, Rafael Siebenschein – Grand Rapids, MI and Alice Dodgson – Norton Shores MI. Al Hager and I represented Toledo Pickleball. Jim Hackenberg – Gold in Men’s 50+ Doubles, Gold in 65+ Mixed Doubles (with Yvonne), Gold in Men’s 65+ Singles, 4th in Men’s Open Doubles (out of more than 70 teams), 4th in Open Mixed Doubles (out of 97 teams). Yvonne Hackenberg – Gold in Women’s 60+ Doubles, Gold in 65+ Mixed Doubles (with Jim), 4th in Open Mixed Doubles (with Jim). 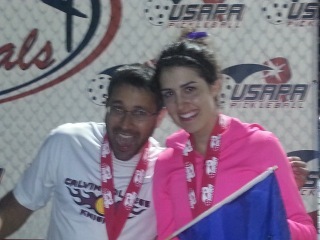 Jessica LeMire – Gold in Women’s 19+ Doubles (with Marsha Koch), Silver in 19+ Mixed Doubles (with Rafael Siebenschein), Bronze in Open Women’s Doubles (with Marsha Koch). Congratulations to all! That’s a lot of hardware coming home with our Midwest Players. Great job everyone and congrats! One of the highlights out at National’s for me was having Barney McCallum sit court side for our Bronze Open Women’s Doubles match. Jessica and I spoke with him after the game and had a chance to personally thank him for helping invent the great game of Pickleball. For those of you who are not familiar, Barney and his buddy Joel Pritchard were the original co-founders of Pickleball! How cool is it that he came out to National’s to watch the games. To get a feel for the level of play out at Nationals, here are the videos of the final match of the Open Women’s & Men’s Double Open matches, Open Mixed Doubles final and the Open Men’s and Women’s Singles. Amazing play! This entry was posted in Tournament Results and tagged Yvonne Hackenberg. Bookmark the permalink. Glad to hear that you enjoying the sport. I don’t really remember the lesson but glad to hear anything I have shared has helped you enjoy the game more. You are a great player and an excellent addition to our group with your great attitude and excitement about the game! Hope to have the chance to be on the court with you again soon! congratulations to you marsha, an excelllent outing for you too. larrps. nice videos. do you have any with you and jessica?